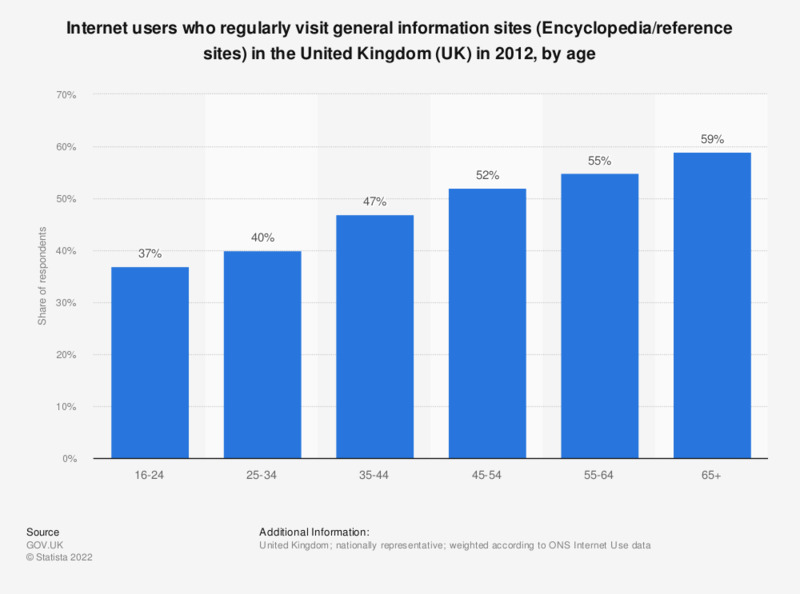 This statistic shows the share of internet users who regularly visited general information sites in the United Kingdom (UK) in 2012, broken down by age. In 2012, internet users over the age of 65 were most likely to visit general information sites on a regular basis, at 59 percent of respondents. * n (16-24) = 201; n (25-34) = 201; n (35-44) = 215; n (45-54) = 167; n (55-64) = 127; n (65+) = 154.